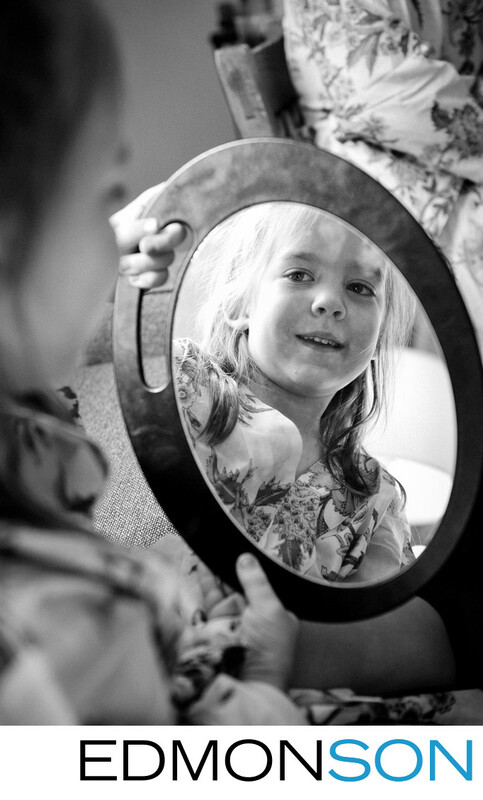 In a candid moment, a young flower girl is caught looking at her makeup in the mirror inside one of Los Poblano's wedding suites. Location: Los Poblanos Historic Inn & Organic Farm. 1/160; f/3.2; ISO 2000; 52.0 mm.